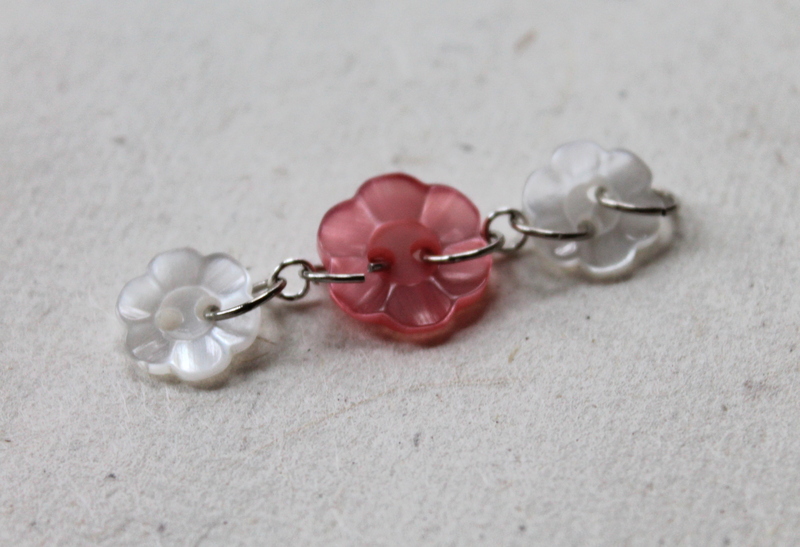 In ECT TV Episode 19 I discussed using unconventional charms in jewelry making. 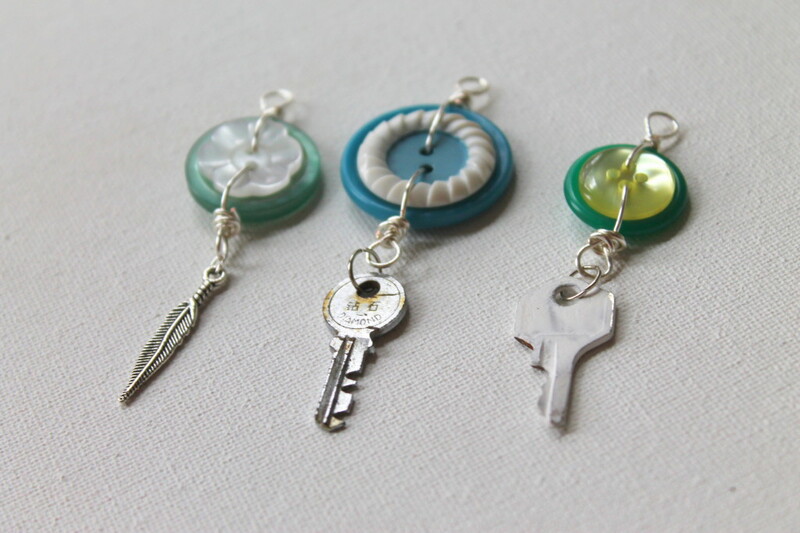 You’ll also find a cool charm tutorial there using buttons and a key. I wanted to show you a few charms I have made with vintage and/or unconventional materials and explain exactly how I made them here to inspire you. 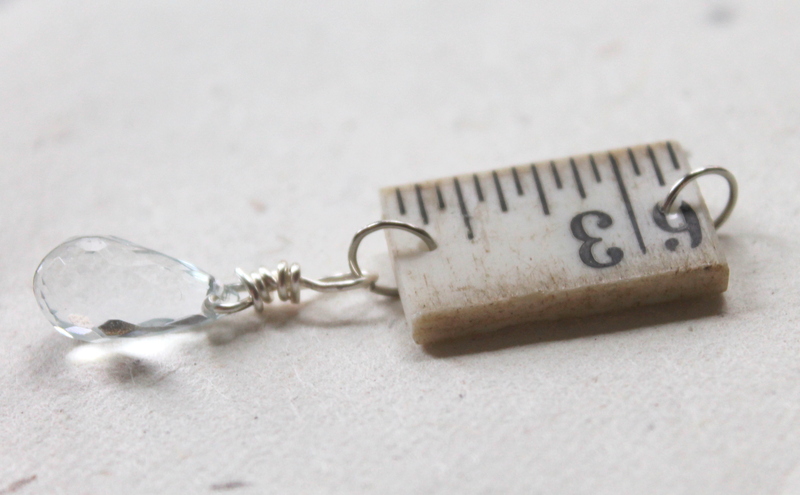 I love the juxtaposition of the pretty, clean, clear crystal with the beat up ruler. Cut a ruler into pieces. You can use a plastic or wooden ruler. Drill 2 holes in the ruler. 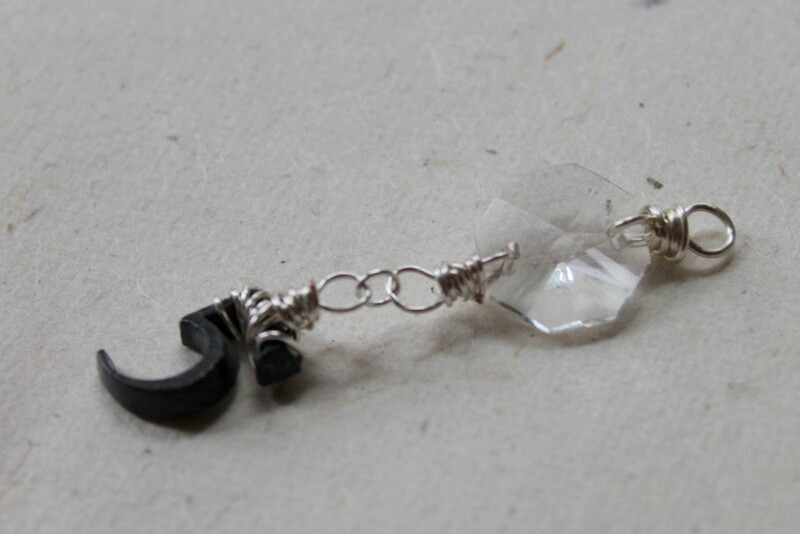 Attach the crystal to the ruler using a jump ring and then use a jump ring on the top to attach the charm to your bracelet. Again, apparently I have a thing for crystals and old things. The crystal is from a chandelier. I made 2 wire wrapped loops – one on each side. 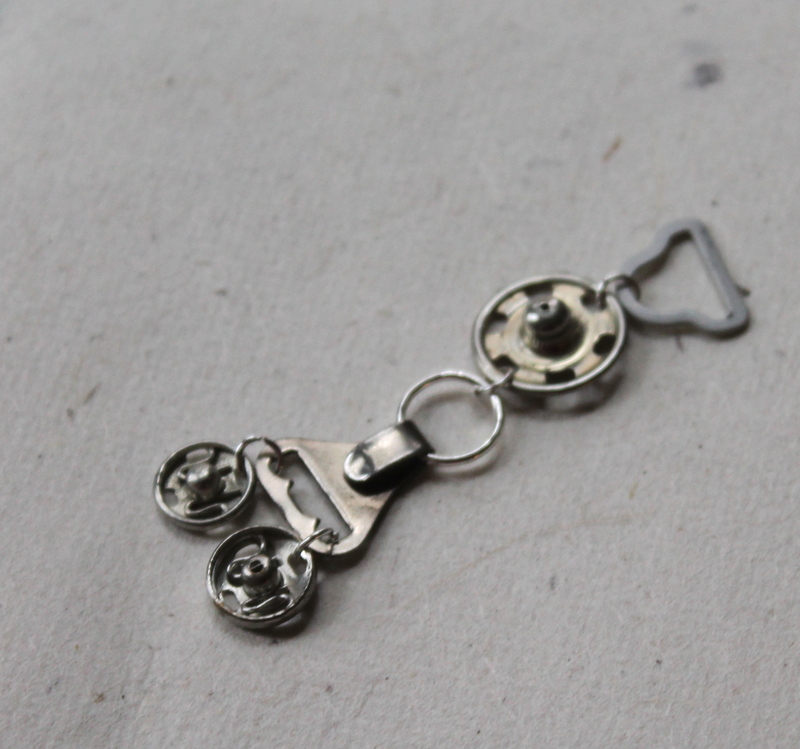 Add a tiny skeleton key using a couple jump rings. 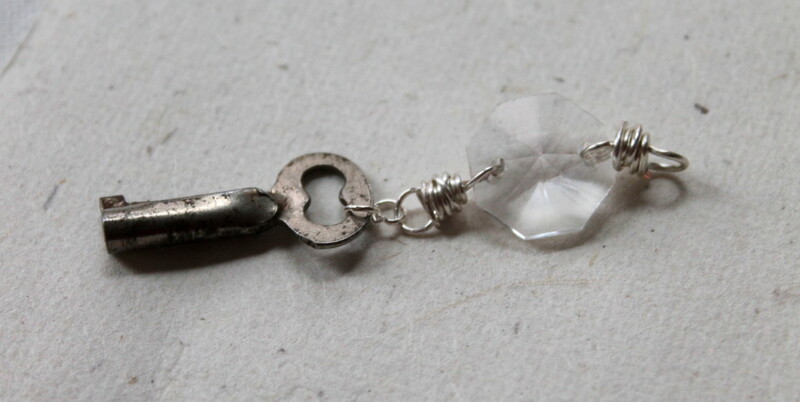 The second wire wrapped loop on the crystal is how you attach this charm to the bracelet. I purchased a jar full of sewing notions at a yard sale with all this in it. I simply used jump rings to put everything together. 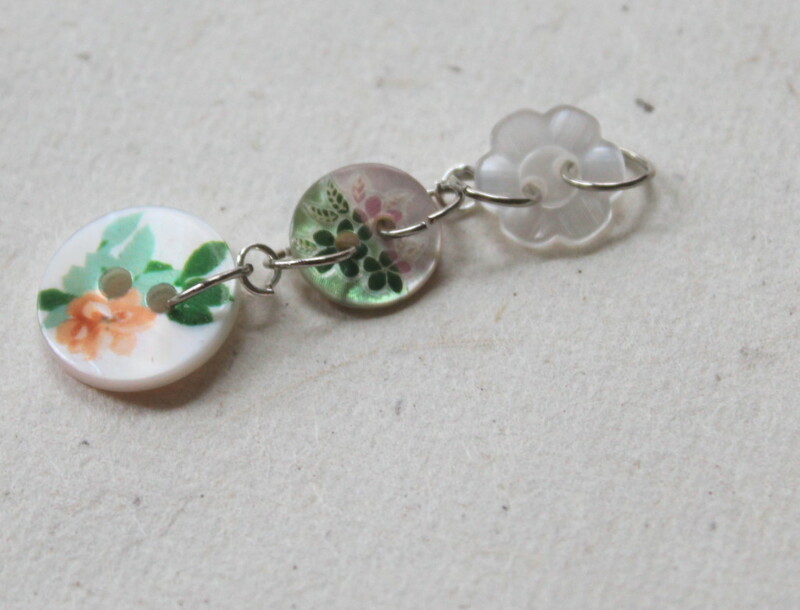 You can use just a single button and attach it to your charm bracelet or do a small strand of buttons like I’ve done here and attach it. This is a wonderful way to use all those buttons you’ve been collecting and saving from mom. 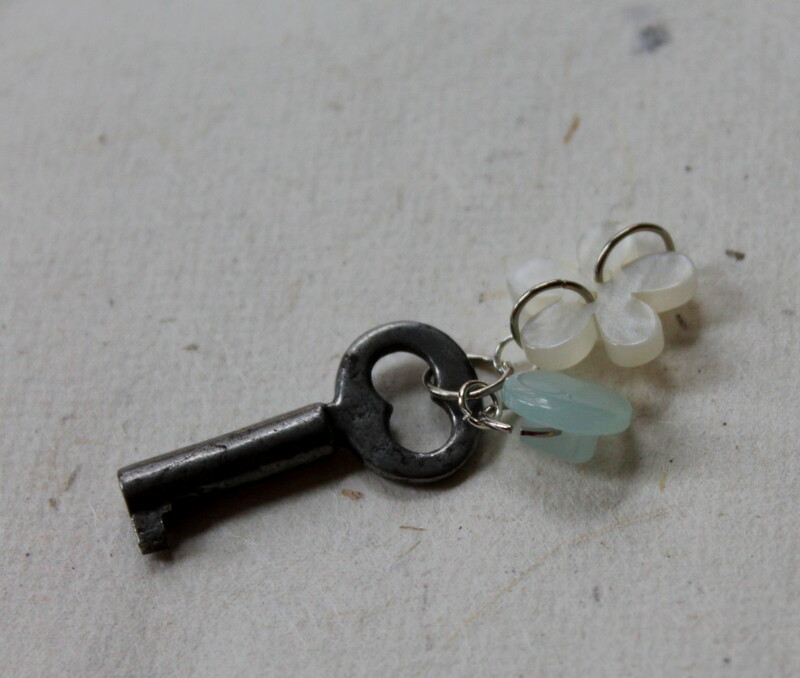 This incorporates buttons like in the last charm, but then I added a tiny skeleton key to the end. Wire wrap the little number. You sometimes have to get creative depending on the number. Some of the numbers (like 0 or 8) you can simply use a jump ring. Make a wire wrapped loop on each side of an upcycled chandelier crystal. I found these little numbers on Etsy. You can find cute little metal things like these at flea markets or antique shops. 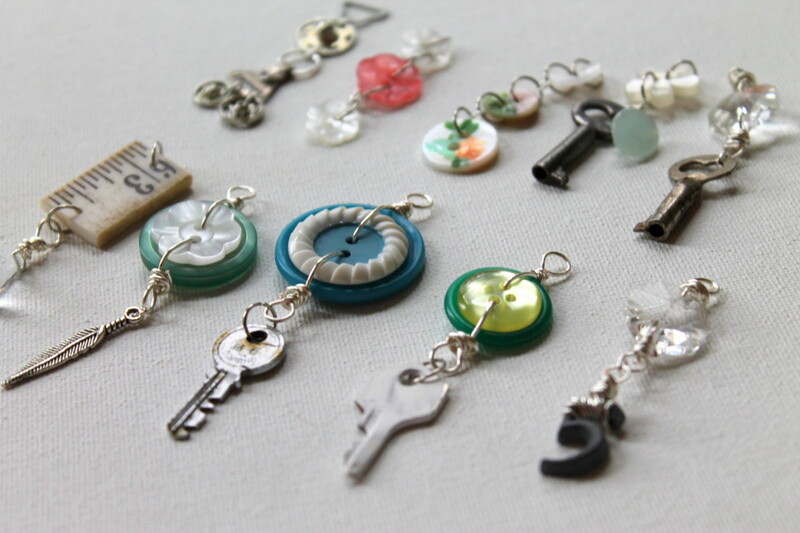 I hope these have opened your eyes to the possibilities of charms and what you can use to make charms! 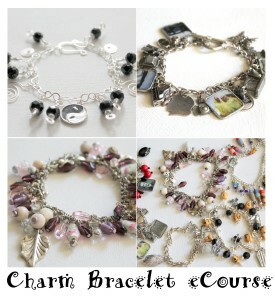 Put these charms to use with my Charm Bracelet eCourse. 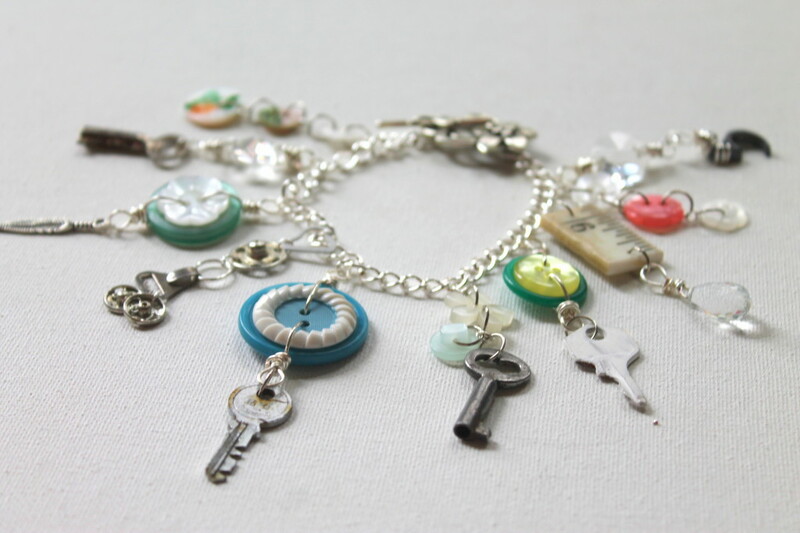 You’ll learn with videos and PDF eBooks how to make a charm bracelet from making chain, headpins and a clasp to making charms and putting it all together. You want to wear your family on your wrist? You’ll learn how to make photo charms. You want to express your creativity with funky, chunky bracelets? You’ll learn how. This entry was posted in How to Make Charms, Jewelry Tutorials and tagged charm bracelet, charms, emerging creatively tutorials, how to make charms, unconventional charms, vintage by Kimberlie. Bookmark the permalink.